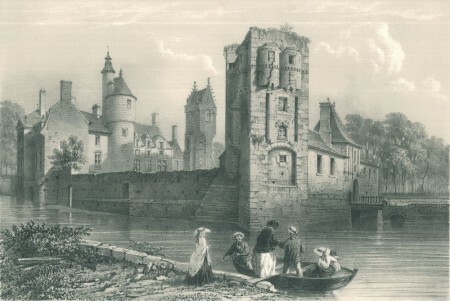 The castle became the property of the d’Argouges Family in 1251, through marriage, up until 1777 when it became a marquisate. 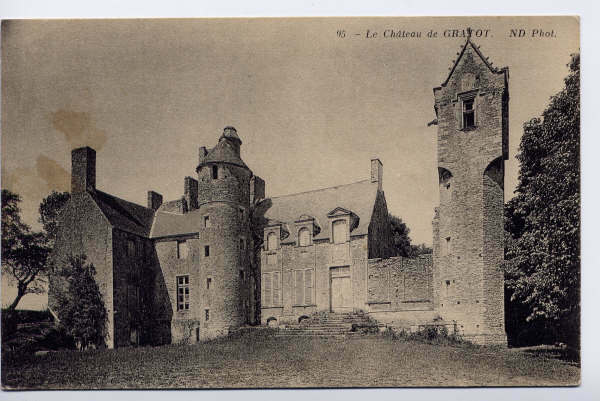 Built, restructured, and enlarged throughout the seven centuries of its history, Gratot has always been a castle with a little difference, periodically enriched by architectural changes. 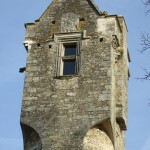 The 19th Century saw a succession of owners who never kept up the property. Gradually, it fell into ruins and was invaded by ivy. 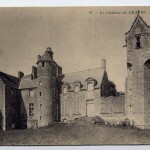 The Castle was definitively abandoned at the beginning of the 20th century. 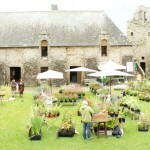 The restoration and animation of the Castle started in 1968 with a group of voluntary workers. This was the beginning of twenty years of a true and mad adventure, of a successfully met challenge, thanks to passionate people. All in all, the restoration represented 16,000 working days, including heavy tasks, from bush and ground clearing to complex stonework. All of this was achieved with the help of young volunteers who came to work every summer, from all over France and other countries. Professional companies were also involved, in particular for roofing and timber work. 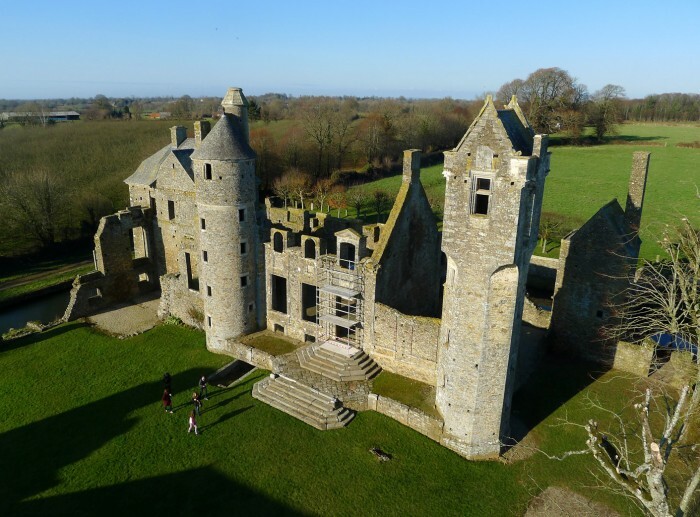 The financing was mainly managed with State aids (from the Ministère de la Culture), the General Council of the Manche, private sponsoring (Langlois Foundation) and benefits from the entry fees paid by visitors. 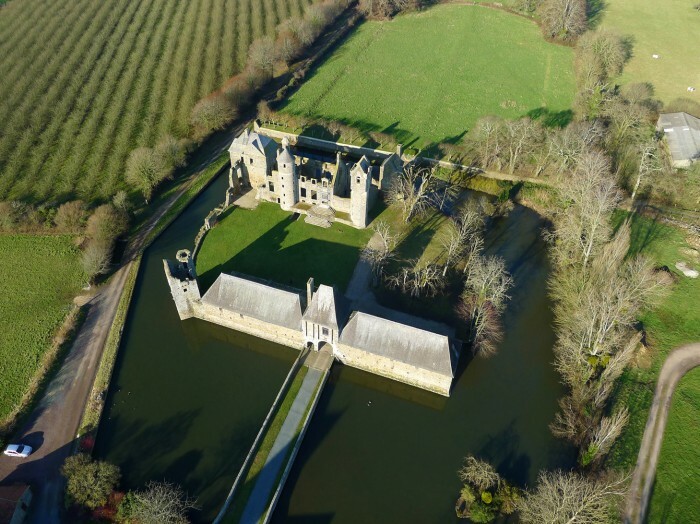 The Castle of Gratot, located 4 km from Coutances (Manche/Normandy), today displays remains of a construction dating back from the 13th century up to the 18th century. 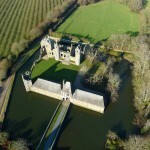 The entire site is fully encircled by moats, watered by a spring nicknamed the “Fairy’s Fountain”. 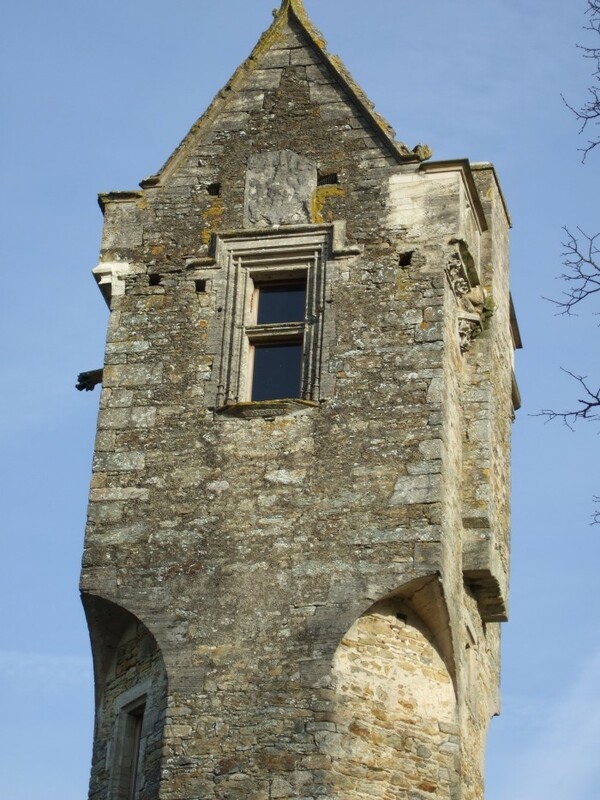 The Castle itself is composed of a Main House dating back to the 15th century (though its facade was rebuilt in the 17th century), and its two lateral towers both built in different architectural styles; one of them is named the “Fairy’s Tower”, after the Castle’s legend. 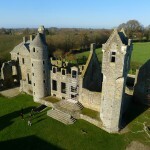 A substantial addition was made to the Castle in the 18th century with the construction of a pavilion. 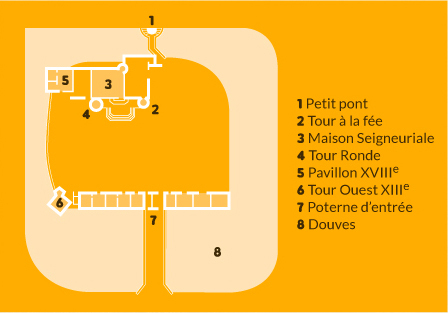 Vaulted cellars run under the entire castle. 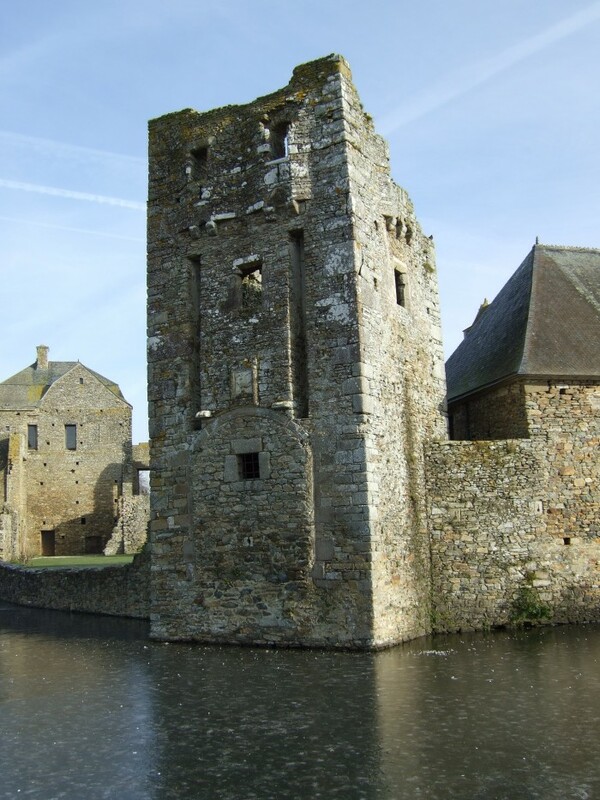 Facing the Castle are two 16th century grand rectangular buildings which were mainly used as outhouses. 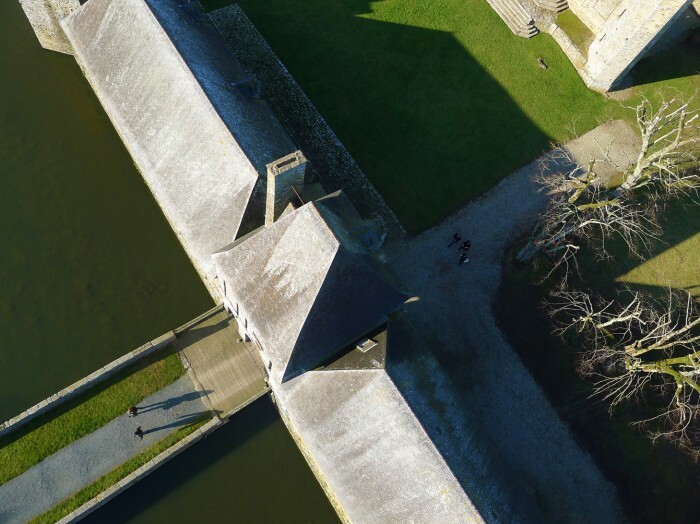 In the middle lays the postern with its double entrance, both pedestrian and carriage bridge over the moat. 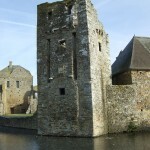 Only two towers of the 13th century have been preserved, one of which is the ancient postern. A long time ago, on his way back from hunting, the lord of Gratot was attracted to the spring by the wonderful voice of a young lady. 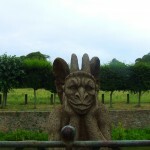 It was the Fairy of Gratot. 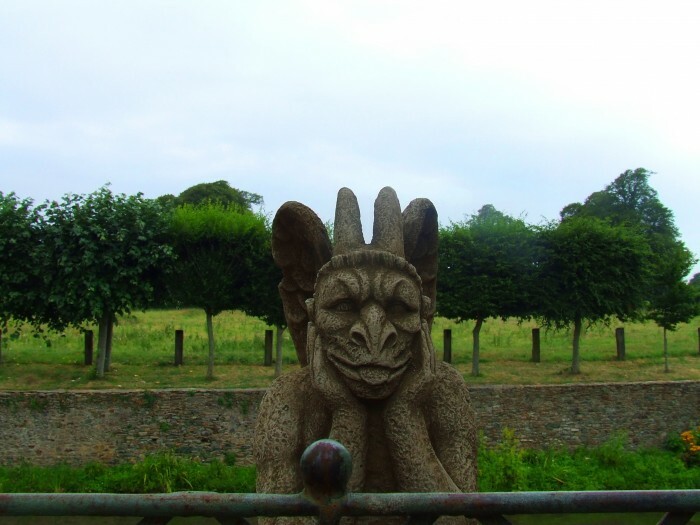 To know the end of this legend, come to the castle and let its walls tell you their story.